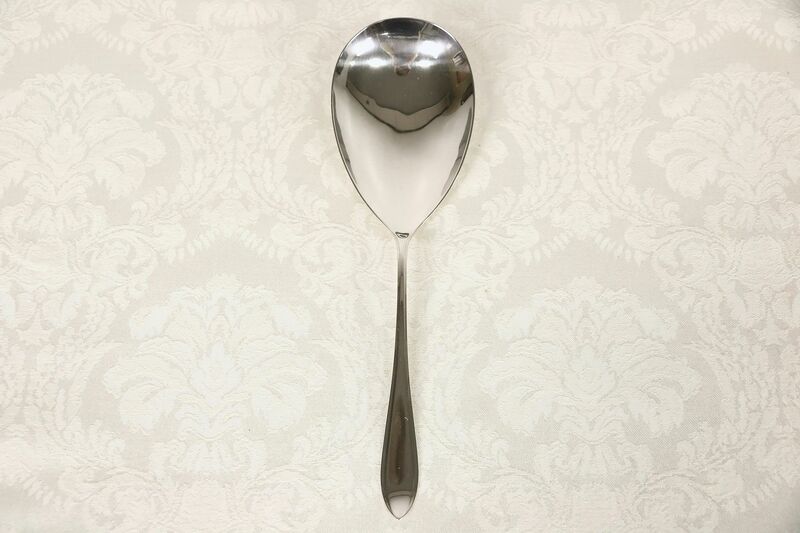 A heavy weight Midcentury Modern sterling silver serving spoon with Dutch hallmarks dates from around 1950. In beautiful condition, this vintage server measures 10" long and 3" wide. See 8 photos that enlarge to full screen size. USPS Shipping is $5 in the US.